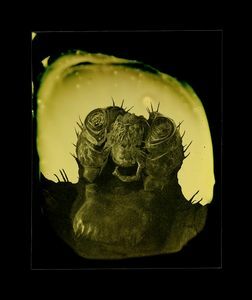 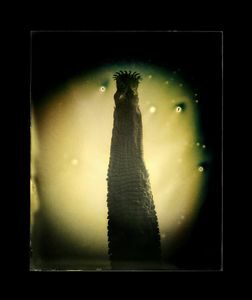 “Parasites” is an ongoing body of photographic work investigating a history of scientific exploration through images of parasitic animals taken with a Scanning Electron Microscope and exposed onto dry plate gelatin ferrotype plates. 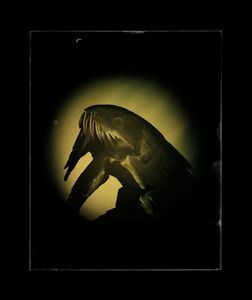 The final images are archival pigment prints from the scanned ferrotype plates and printed larger for these abject animals to confront the viewer at a one-on-one scale. 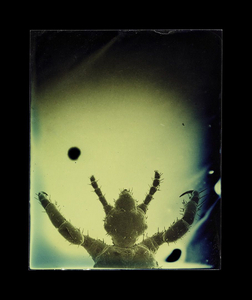 Photography and science have had an intrinsic relationship since its' invention in 1839. 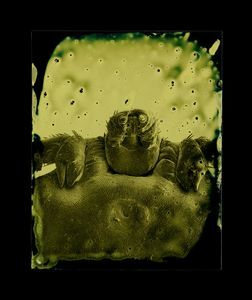 It did not take William Henry Fox Talbot long until he was using his calotype process to capture what was under the lens of his microscope. 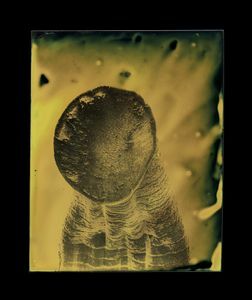 The indexical nature of photography has pushed the reaches of science ever forward into the 21st century. 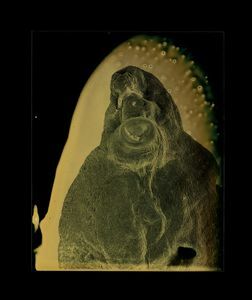 These technologies allow us to peer in to the unexamined corners of the natural world reminding us that the universe around us is much greater than ourselves. 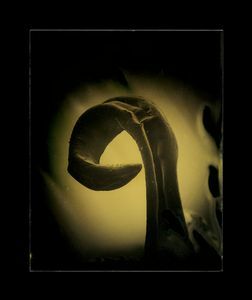 In this realm of scientific curiosity, photography has a intriguing relationship with the invisible, allowing us to see the world that we cannot. 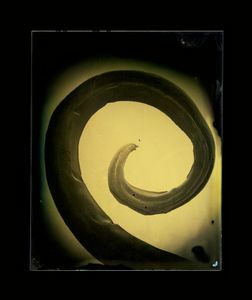 “Parasites” explores these themes of science and wonder and, at the same time, confronts a personal fear of these parasitic organisms that attach themselves to humans. 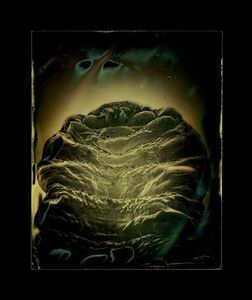 Embedded in the work is an engaging dialog with photographic history, its' shifting modes of representation, and its' material possibilities. 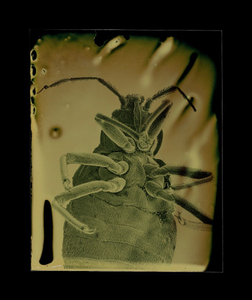 “Parasites" investigates the role of shifting photographic technologies in contemporary culture and their abilities to capture a mysterious and unseen world.